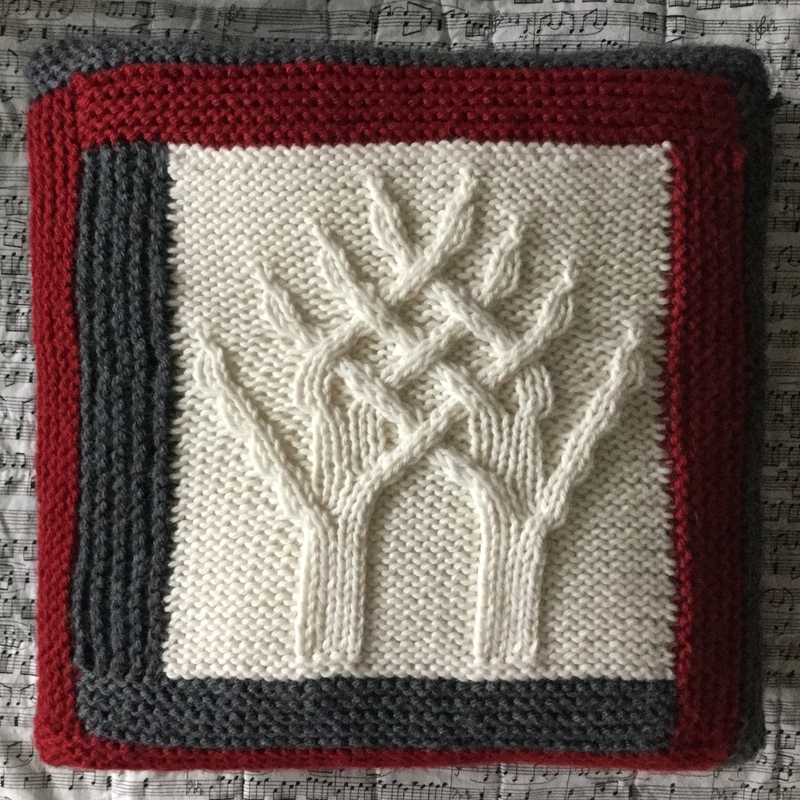 I fell in love with a stitch pattern back in November, and I’ve had a great time playing with it. 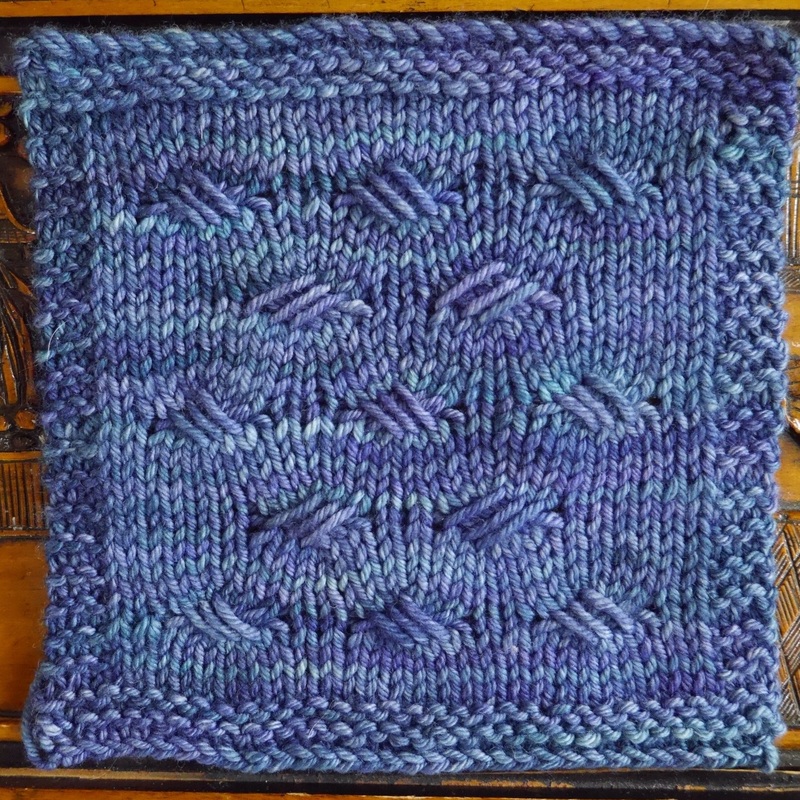 It’s my adaptation of a stitch pattern I saw in a Japanese stitch dictionary. It’s kind of like a cable, except the stitches go through each other, instead of in front or behind each other. 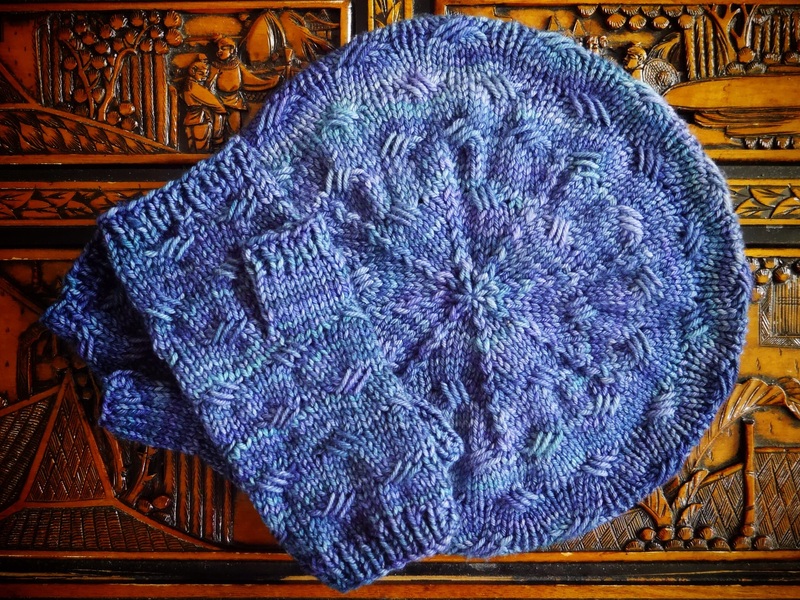 The first thing I did was try it on a beanie hat in Malabrigo Merino Worsted in Indigo; I was teaching a circular hat class at Twisted and wanted to mix things up for myself. A little extra thinking on how I wanted to place my crown decreases, and it was done. Cute! But this style hat doesn’t look great on me, and I really wanted a hat for me. 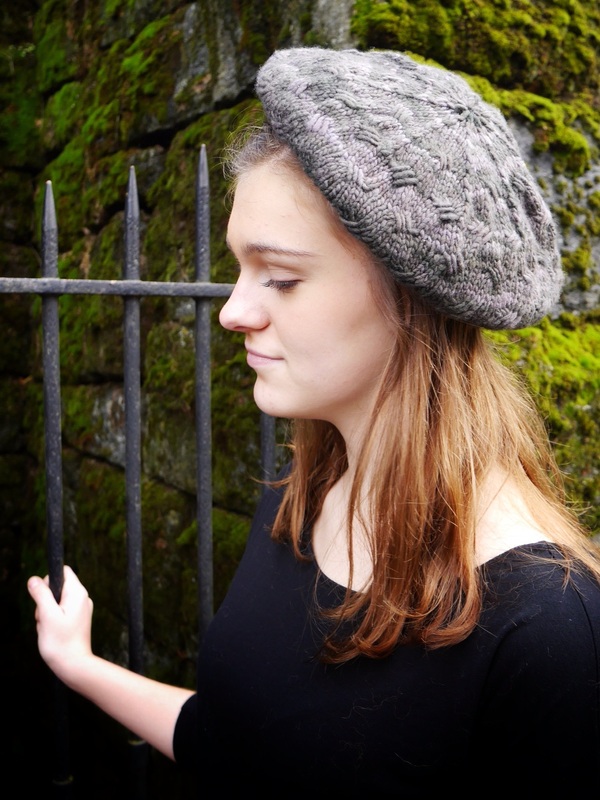 Next up: the slouchy beret. It’s a thing, you know. 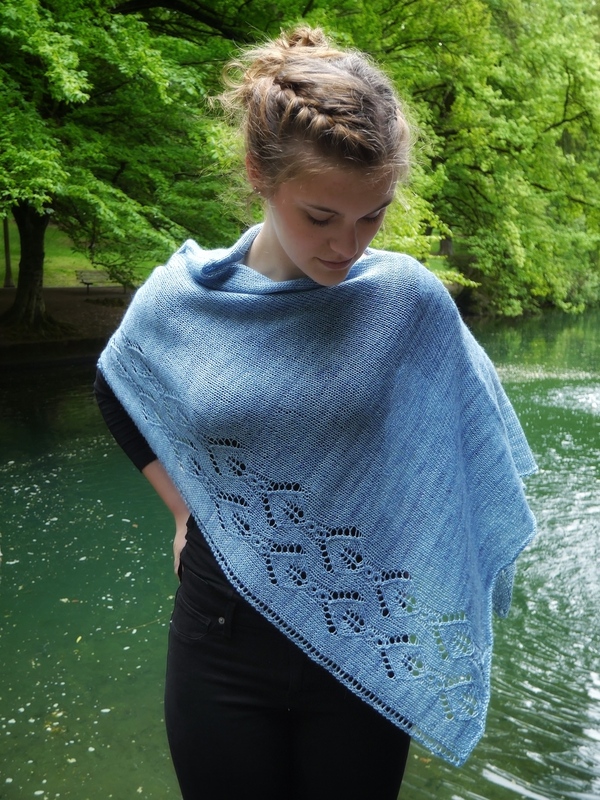 This is Malabrigo Rios in Azules. Even more thinking about how to arrange crown decreases (I think you’ll really like it), and I love it. It looks good on Bobbi, my model, and it looks cute on me, too! But what happens if you need a bigger one? If you have a big head? 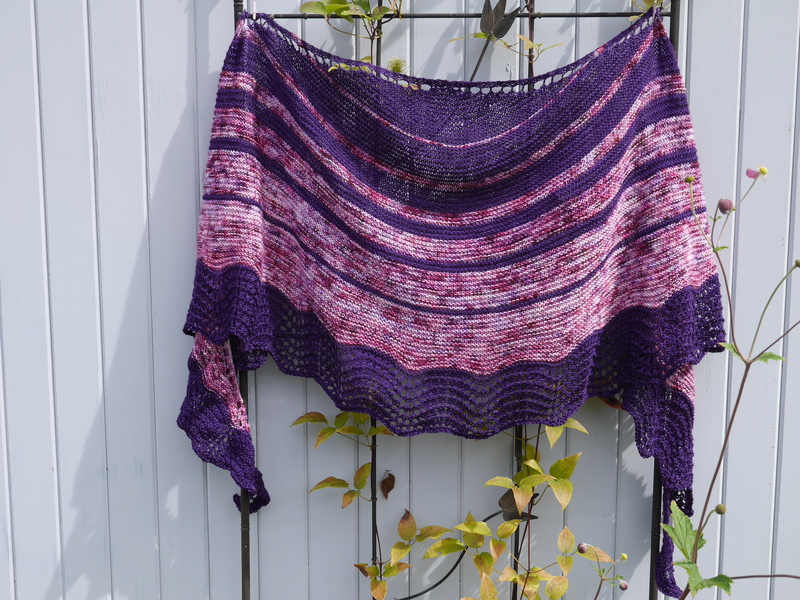 So I knit another one in Malabrigo Merino Worsted, Black Forest, with more stitches. Looks great, but you know what? 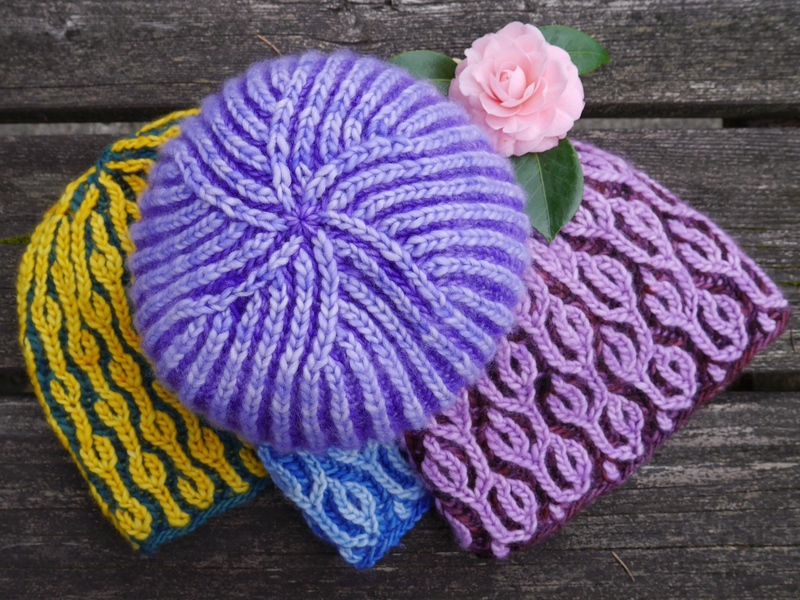 In wet blocking, the bottom band of the beret gets super stretchy, so you don’t really need more stitches to get a beret that fits a larger head. The diameter of the beret is a tad bigger, but not anything to write home about. 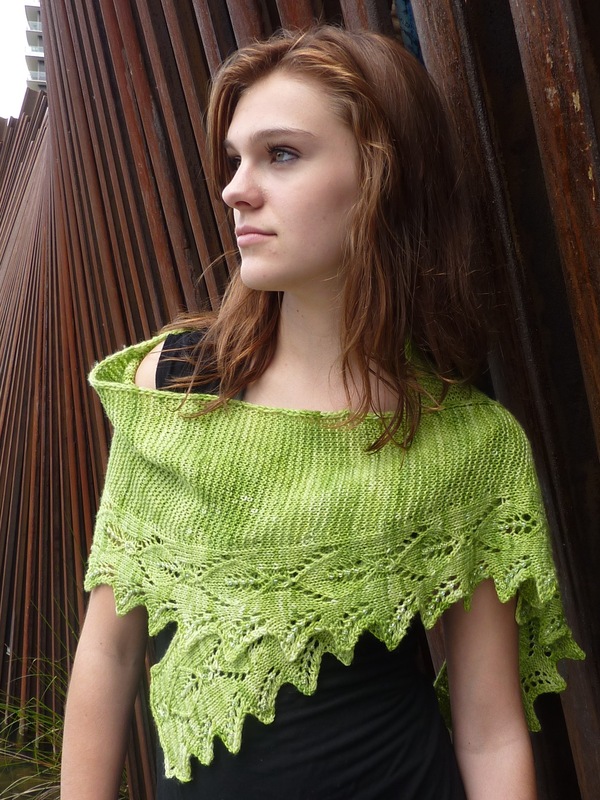 If you want a little extra slouch, knit the large size, but the circumference of the band is hugely malleable. I put some elastic in the band on both the smaller and larger versions, and both fit my largish head just fine. And then I knit one in Malabrigo Merino Worsted in Moss to check my numbers, while I was on vacation. It still needs blocking. 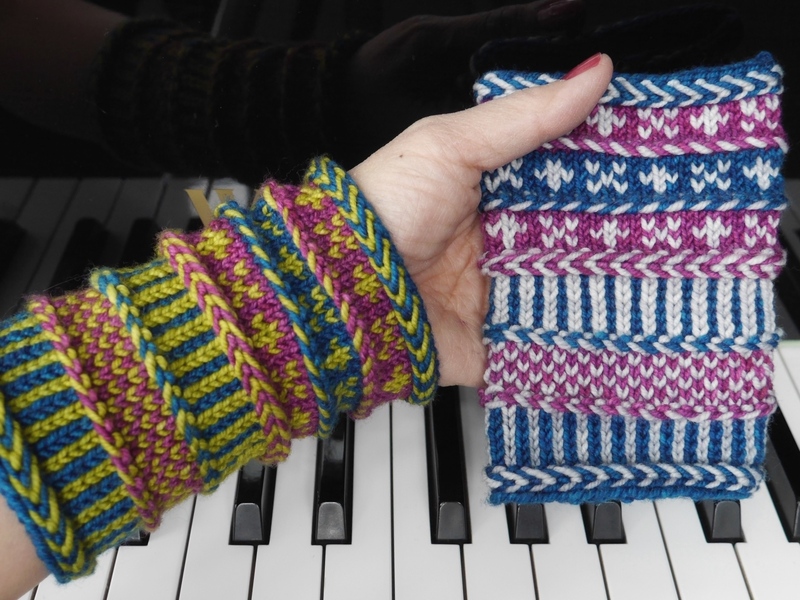 Unless a hat is super special (like Thrumviator, or Pippi), I like to have matching mitts to justify the pattern. 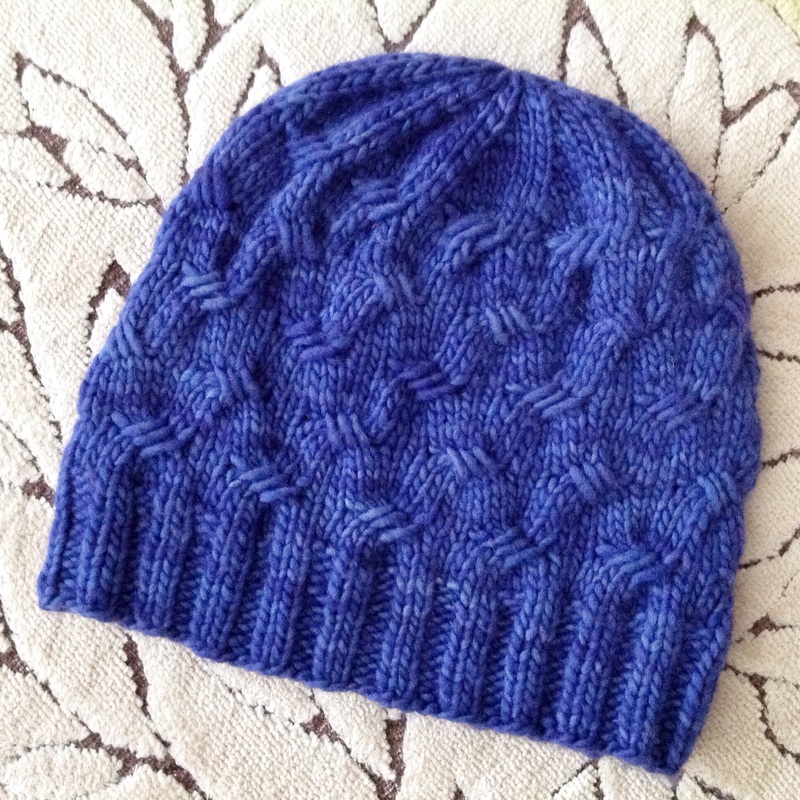 Here’s the first version of the mitts in Indigo, like the beanie. I used a peasant thumb, because I didn’t want to mess with the criss cross stitch pattern. It worked great. 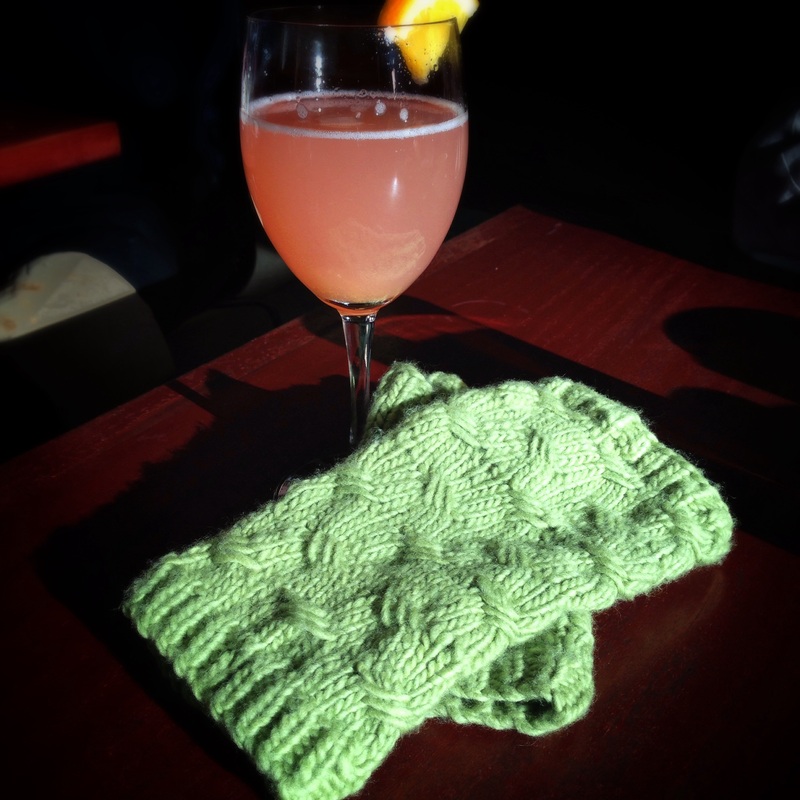 Since I made the blue beret for me, I wanted matching mitts. Done. And check out those lovely crown decreases. 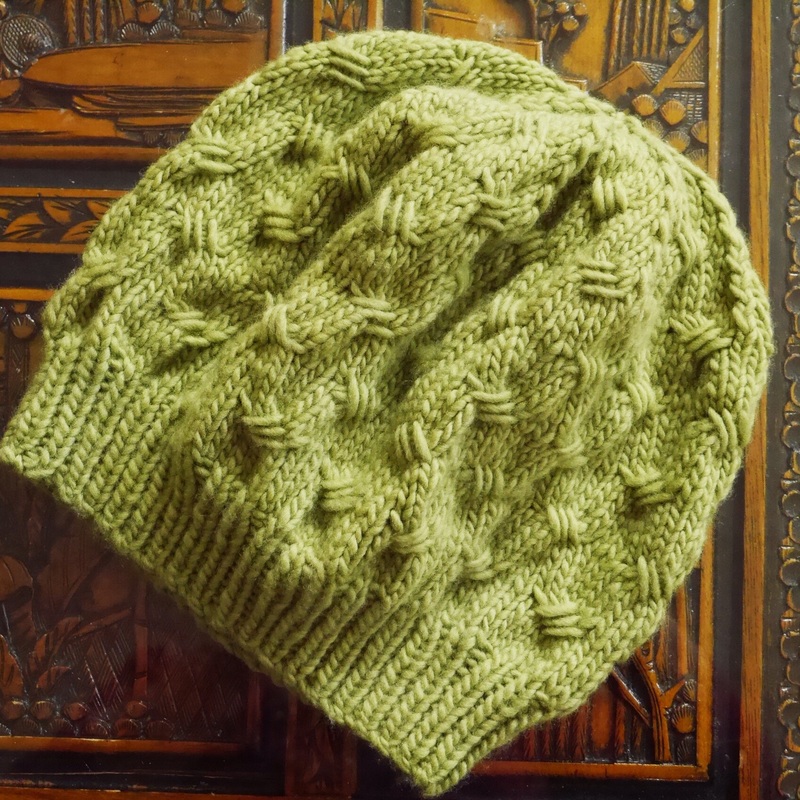 I made a green set for my friend Carole for Christmas, because she loved the yarn color (Moss). 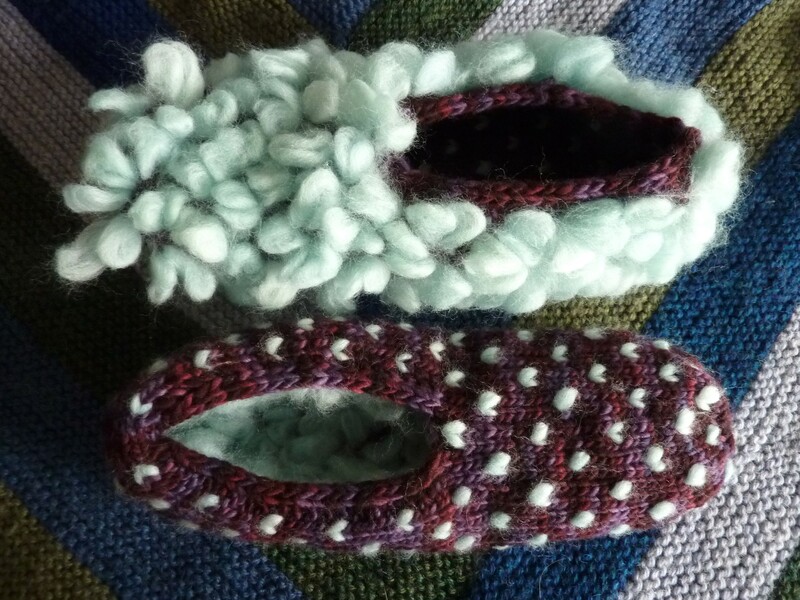 I knit them with a larger needle, because the original mitts were a bit snug on her. 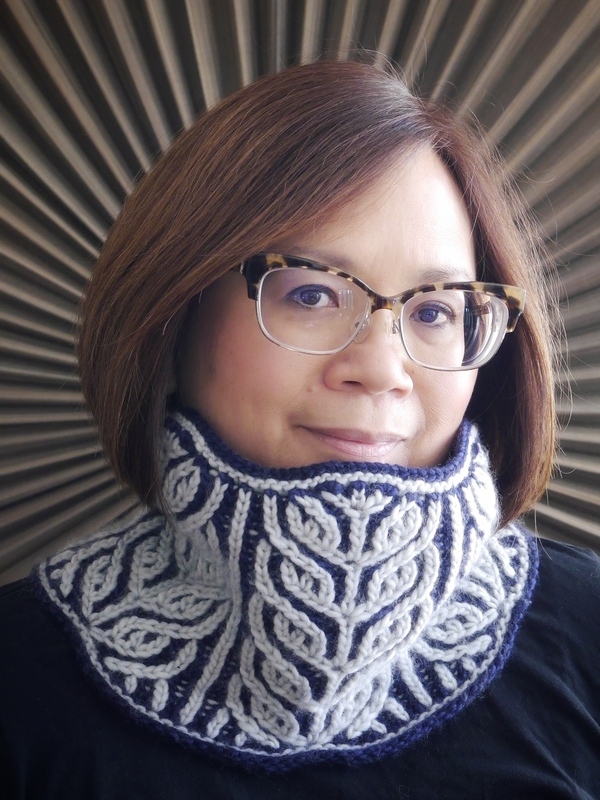 The pattern repeat is large enough that you can’t easily change the number of stitches to adjust sizing. 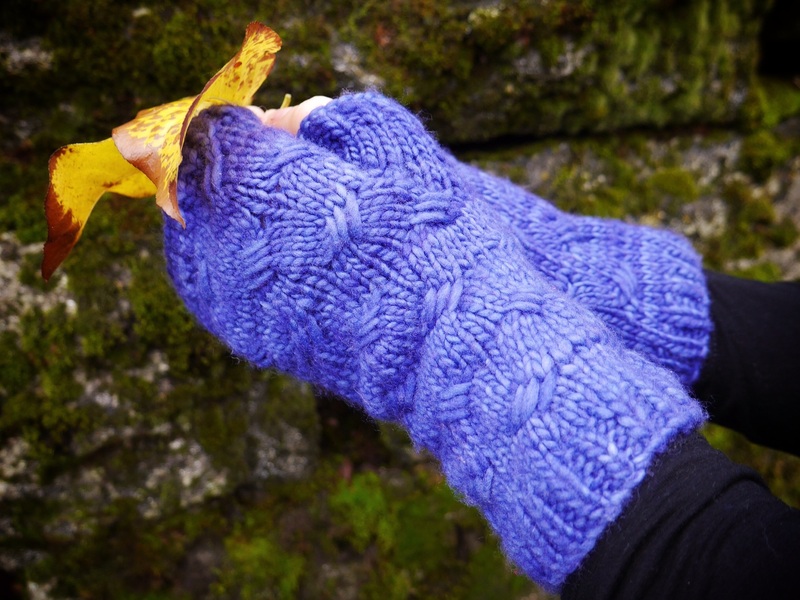 But when she put one of the mitts on upside down, I decided it was time to rethink the peasant thumb (which also looked a little sloppy at larger gauge). 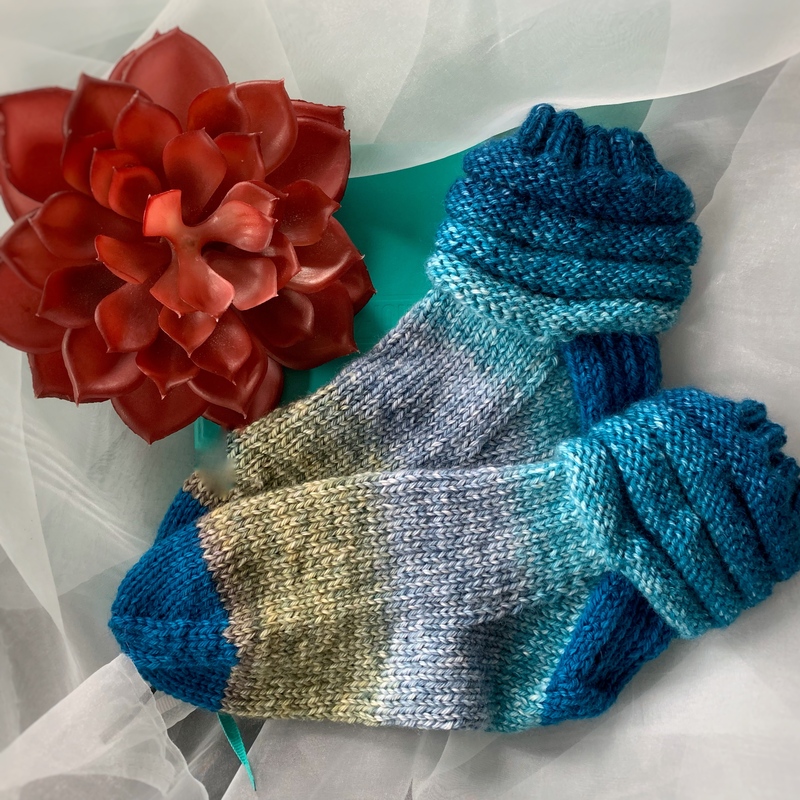 I made this set in Malabrigo Rios, as a Christmas gift for my niece. 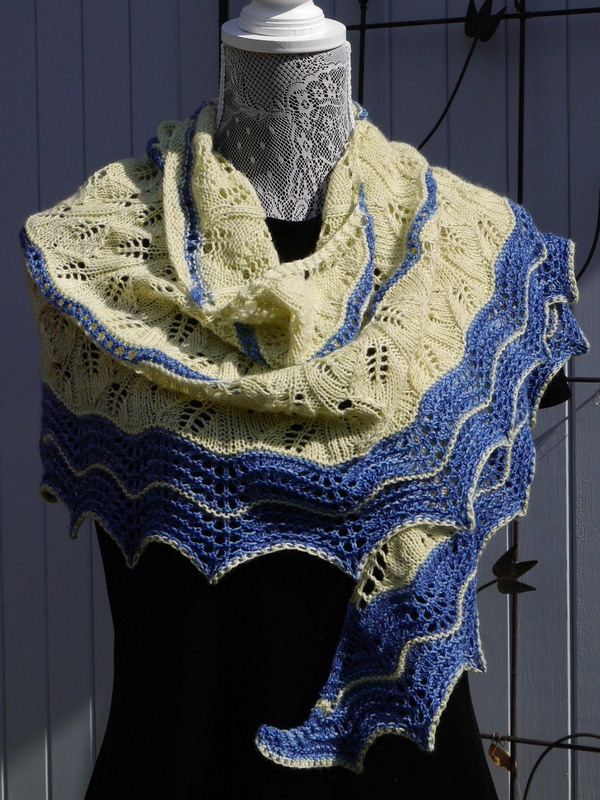 (The blue Dream in Color Classy with Cashmere that I originally gave her with a promise of mitts was too heavy for this pattern, and also excess dye was crocking all over my hands and needles. Not happy with that one. Couldn’t find Azules in Rios again, so I opted for Solis, which is green. She can have her choice of these, or the Indigo pair. Her mom (my sister) is hoping she chooses Indigo, so she can have the green for herself. Go Ducks!) I used my favorite increased thumb gusset. Careful planning meant it didn’t interrupt the stitch pattern at all. Fits like a dream. The cuffs are a little longer than necessary, though. One more time! 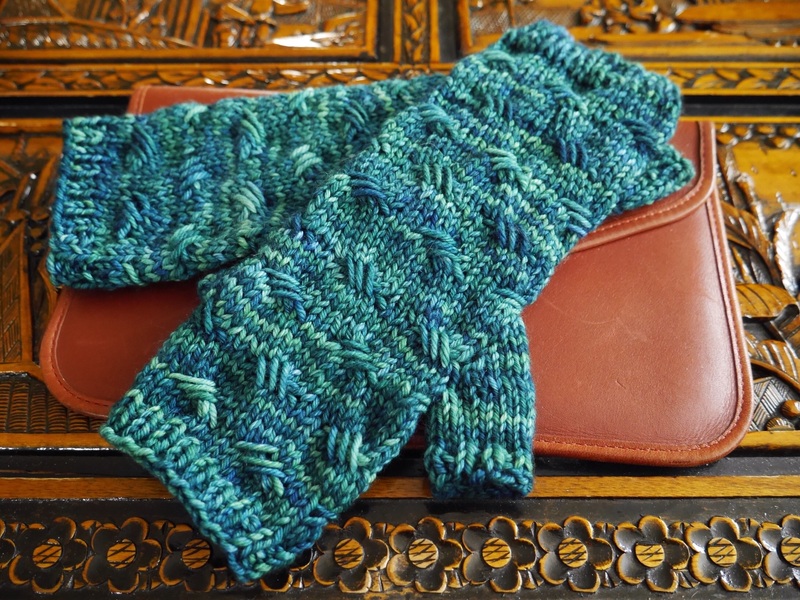 I knit the mitts once more in Moss, with a thumb gusset, and adjusted the overall length which required adjusting the stitch pattern. Perfect. I do all this messing around, so you don’t have to! Patterns are all with my tech editor right now. 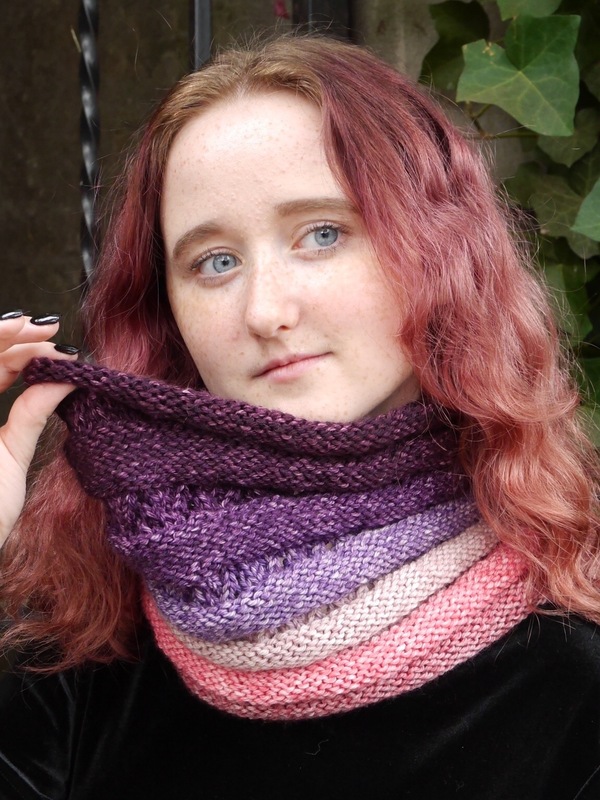 I’m going to set them up as individual patterns, but you’ll be able to purchase them either individually, or as a set of two or three patterns, with discounts for sets. Coming soon! 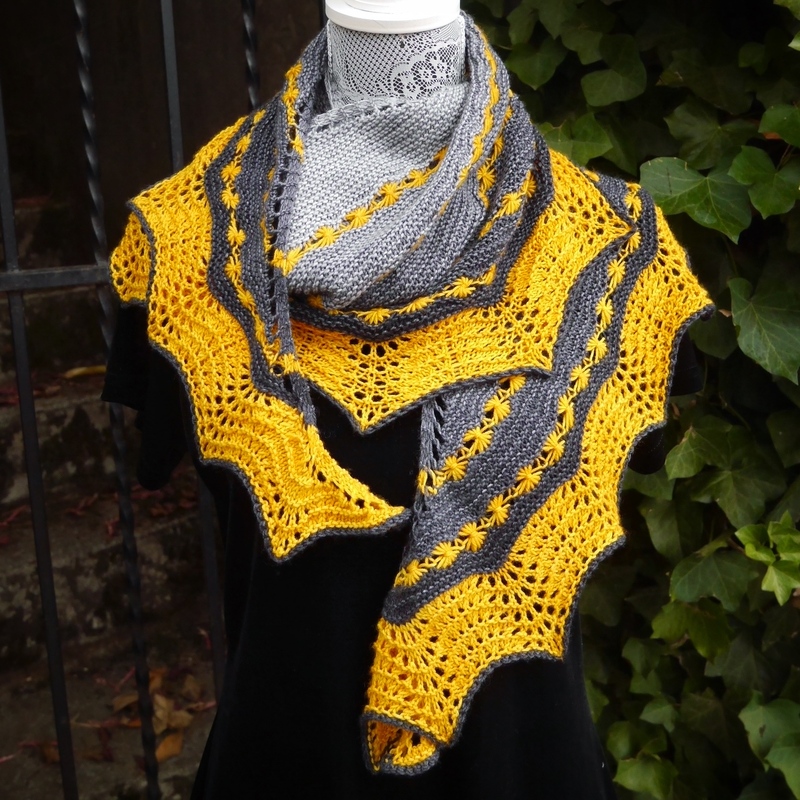 And the Criss Cross accessories will be eligible for February’s KAL, too. 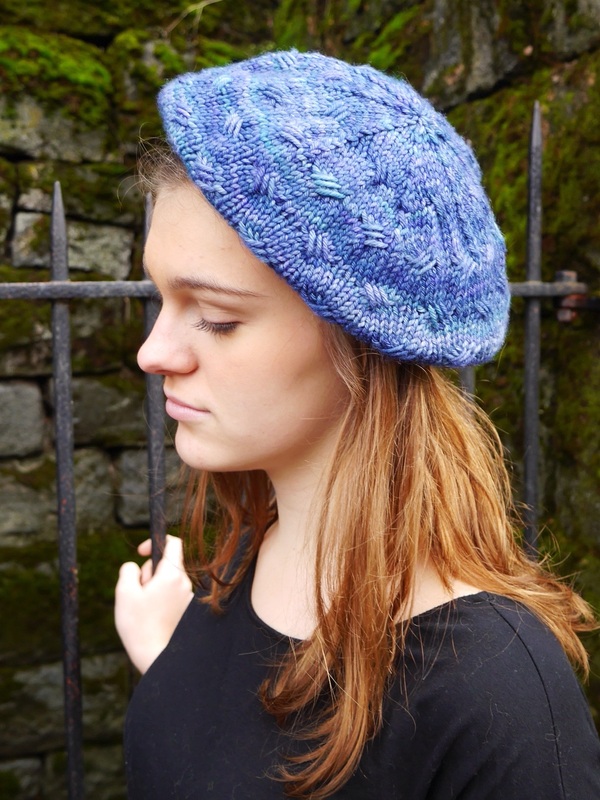 This entry was posted in KAL, Knit, pattern design, yarn and tagged beret, criss cross, criss cross stitch pattern, design, hat, Knit, malabrigo, Malabrigo yarn, mitts. Bookmark the permalink. Also, I love Solis! 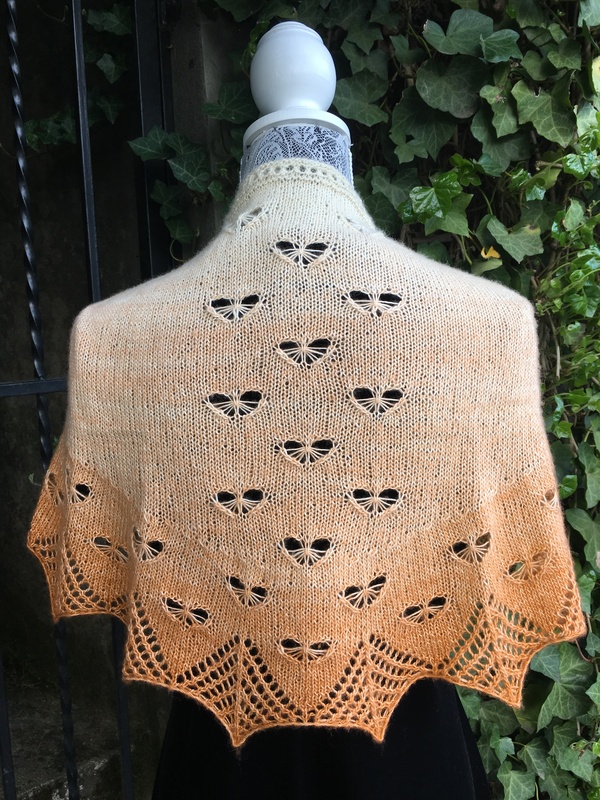 It’s my favorite Malabrigo color. 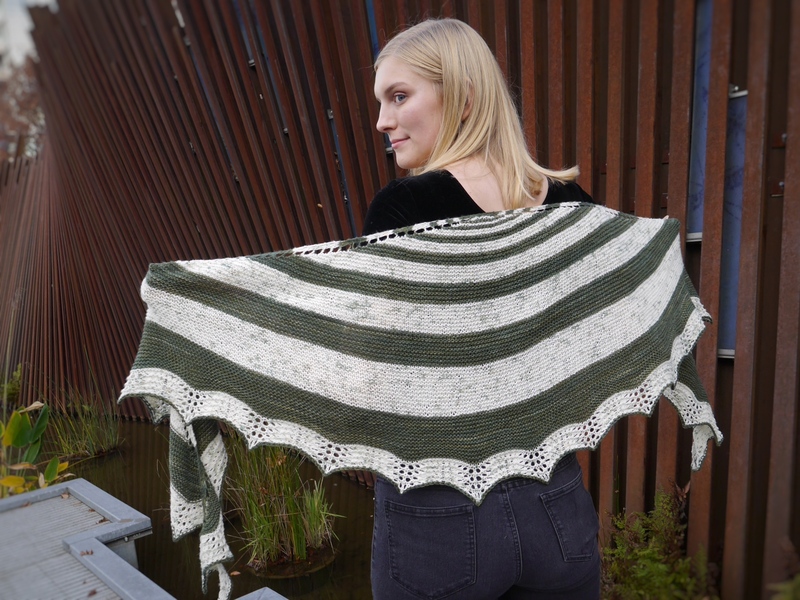 Holy moly ……you’ve been a knitting machine!!!! Love the beanie with the criss crosses. Thanks, Jackie! It was really fun. 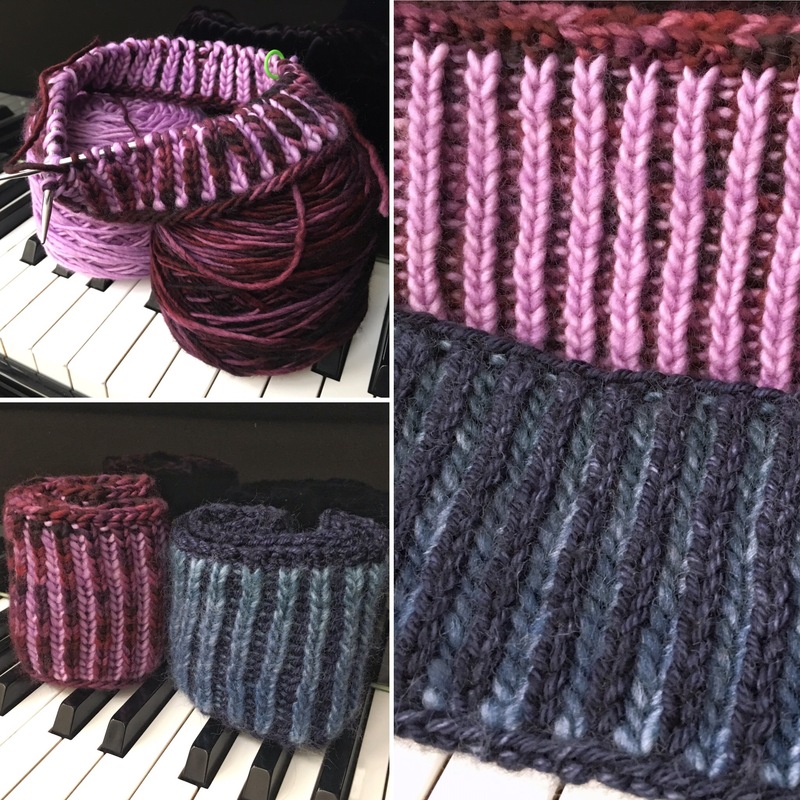 It felt like I was being led down the road, a little further, and a little further…by the time I got to the last set of mitts, I was ready to be done! 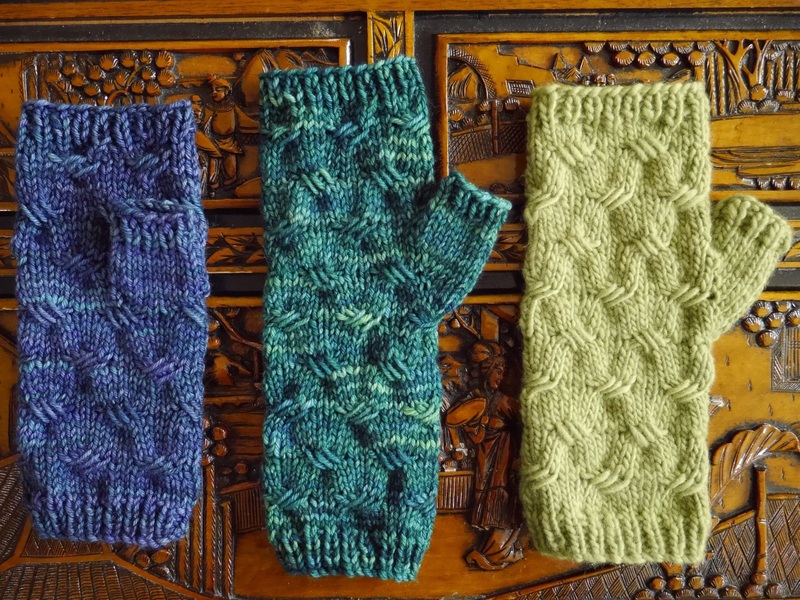 But the revisions really did make a better mitt, and a better pattern. Success! What a cute pattern! I especially like the hats.